When you are not feeling your best, you want help fast. QuestCare Urgent Care understands that. That is why we offer a wide variety of immediate high-quality medical services to treat your illness. With an onsite x-ray machine and lab, we can get swift results to your doctor so treatment can get underway. If you are experiencing difficulty breathing, what matters most is getting prompt treatment. Asthma, bronchitis, and other respiratory problems can closely resemble one another. With an in-house lab and x-ray technicians gathering your test results quickly, our physicians can diagnose the issue quickly. That means swift treatment and welcomed relief. Ear infections are very common in infants and children. Pulling on their ears may be an unspoken attempt to relieve pain. Whether it is infected or caused by another issue, qualified physicians here at QuestCare Urgent Care assess, resolve and treat the matter. A fever is an elevation of normal body temperature. It can signal infection or other disorders. Our physicians use test results to determine a course of action and put you on the road to recovery. If necessary, antibiotic injections or IV treatments can be administered in our office. There are many reasons for skin rashes and reactions. 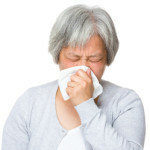 Some of the most common include allergies, insect bites, poison oak, and friction. Certain types of rashes can be valuable as early warning signals. If you are battling skin irritation or other skin problem, our physicians can diagnose and prescribe treatment without delay. Sore throats are one of the most common health complaints. An acute sore throat can run its course in a short time; however, they may be the first symptom of another disorder. Our physicians are experienced and able to determine the ‘why?’ and the ‘what now?’ in a short time. If necessary, antibiotic injections or IV treatments can be administered in our office. The flu is a common virus that affects many Americans every year. While the symptoms of Influenza are similar to the common cold the virus can leave you feeling miserable. Our team of physicians can diagnosis and treat the flu as well as administer flu shots to protect you and your family from the virus. Bladder infections and UTI’s are a common infection of the bladder that cause pain in the abdomen and problems urinating. Diagnosis and treatment are essential to prevent long-term damage to the kidneys and urinary system. 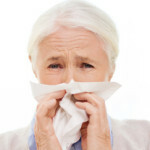 If you feel like you are coming down with a cold or sinus infection start to feel symptoms of the common cold visit QuestCare Urgent Care for treatment and care. While over the counter cold treatments may be effective, our team of physicians can give you a quick and accurate diagnosis. Conjunctivitis, or Pink Eye as it most commonly know as, is an eye infection that causes irritation and discomfort as well as yellow discharge. It is most common in school-aged children, for diagnosis and treatment visit QuestCare Urgent Care. 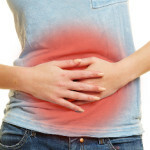 Abdominal pain has many causes and is a symptom of many other illnesses. When you or a member of your family is experiencing pain in the abdomen let our team of doctors diagnose and treat your pain. These are just a few examples of the services we provide to our patients. From infant to seniors, we are here when you need us most. Visit QuestCare Urgent Care in Highland Park or schedule an appointment by calling us at (214) 368-4822 or check in online.